SOLD. 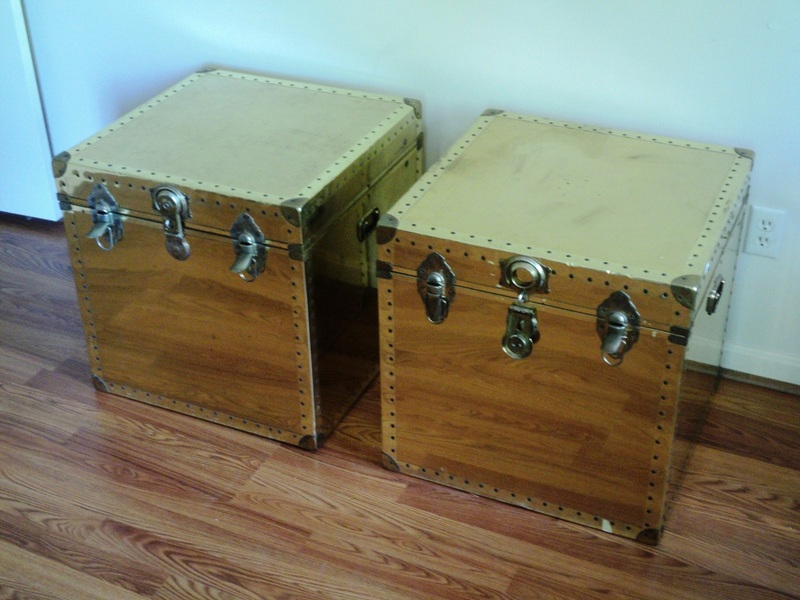 Gorgeous Cedar Lined Pair of Brass Clad Trunks. 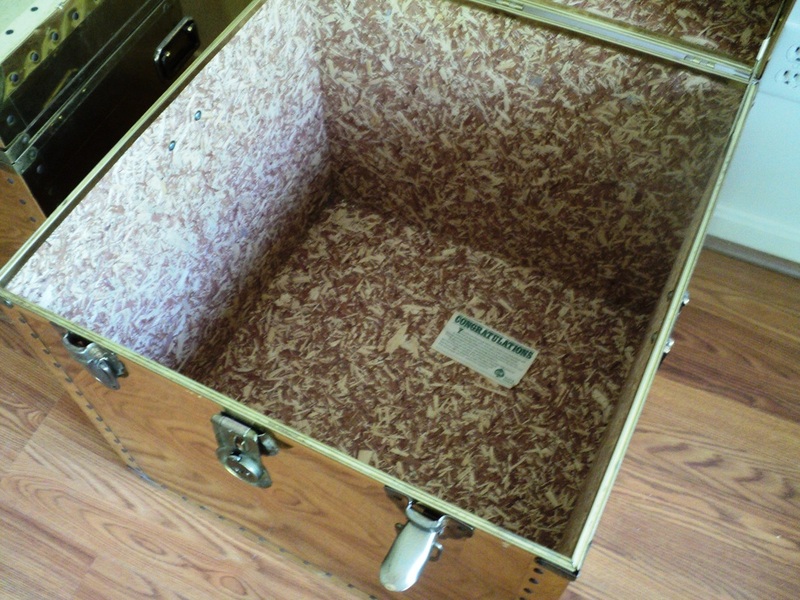 1970s/USA-Rose trunk (labeled). Very Good Vintage Condition. Surface Wear/Scratches Consistent with Age, Material & Use (Mostly to Top Surface). Sorry, no key. Locks & Unlocks with Small Screwdriver, if needed. 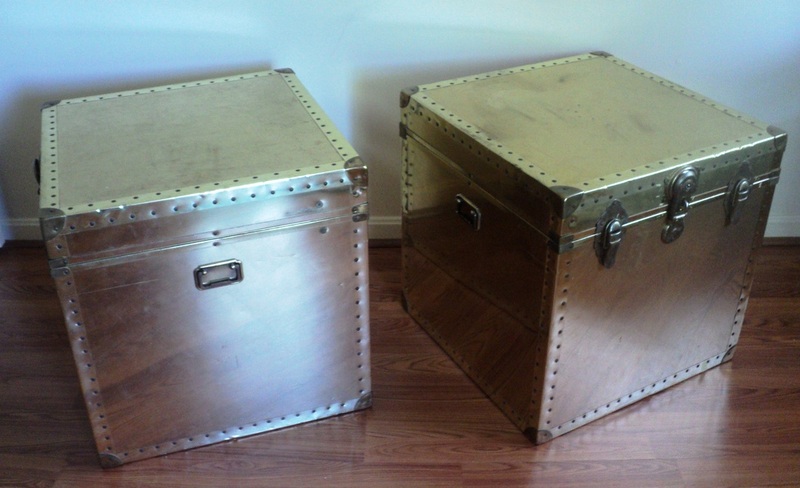 Brass Clad Structures. 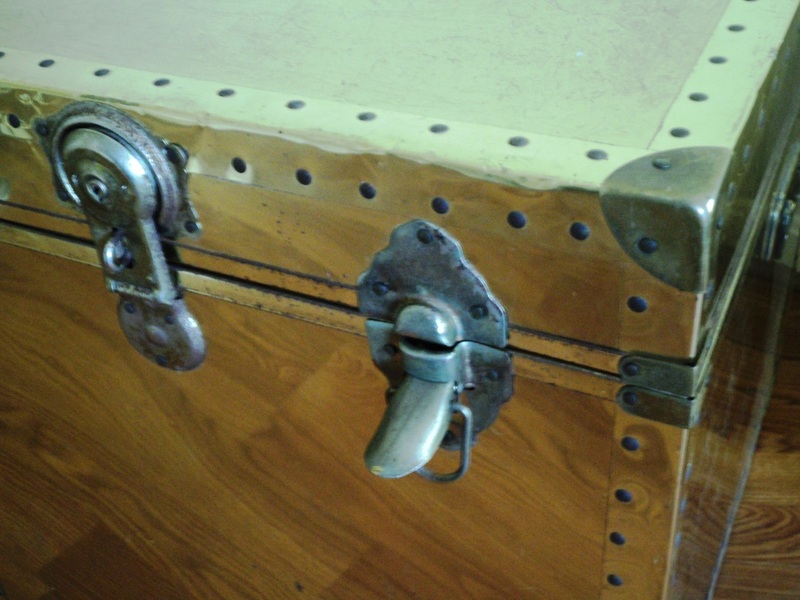 Steel Nails, Hinges & Locks. Giles & Kendall Aromatic Cedar Lining (labeled). Dimensions: 22.25 x 22.25 x 22.25. Sold.